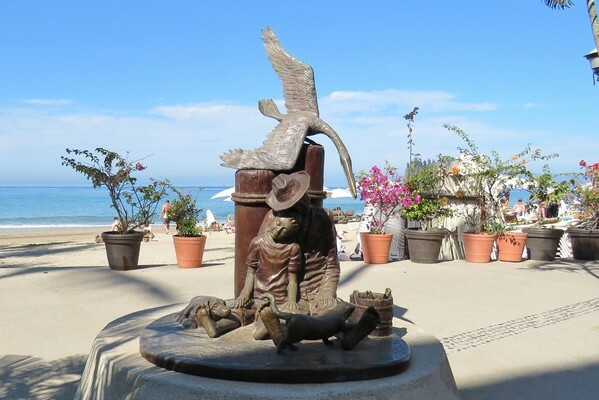 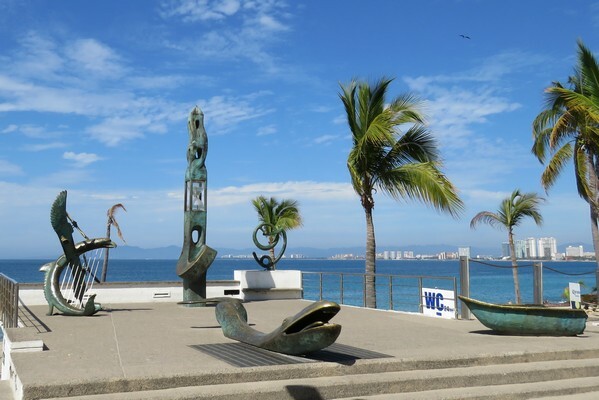 We’ve visited Puerto Vallarta’s Malecón three times, with our kids in 2008, in 2012, and again last month. 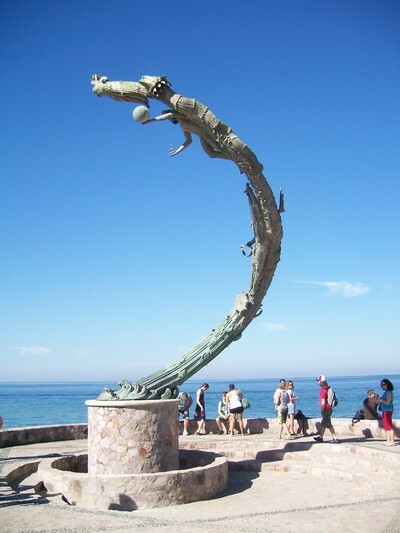 It was redesigned in 2011, making it more aesthetically pleasing and pedestrian friendly. 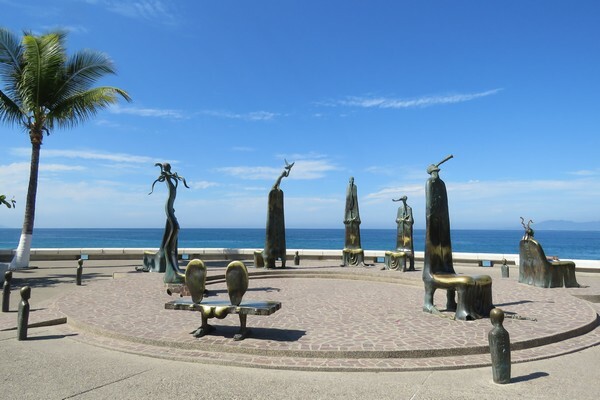 With a recent extension, it runs southward for about a mile from 31 Octubre Street to Los Muertos Beach. 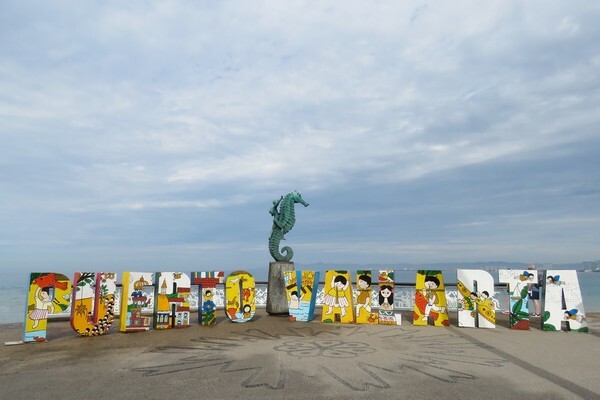 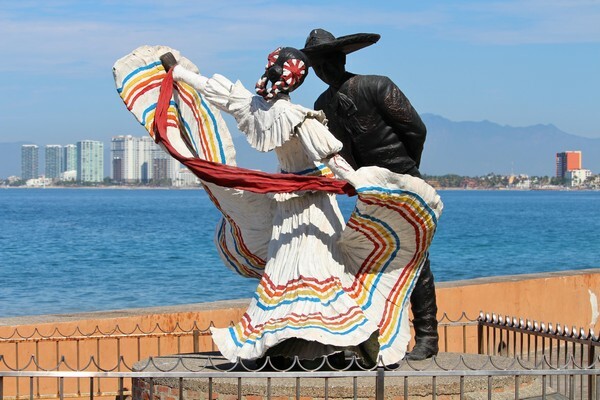 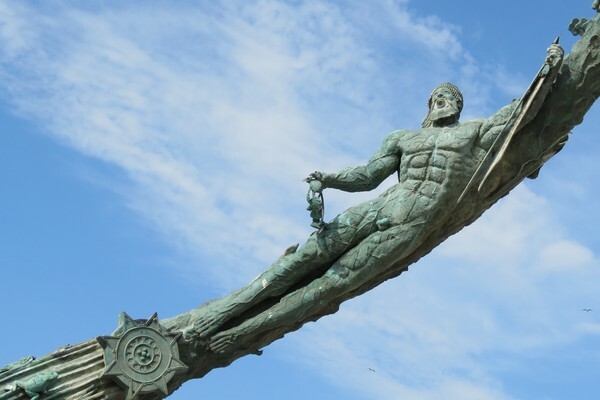 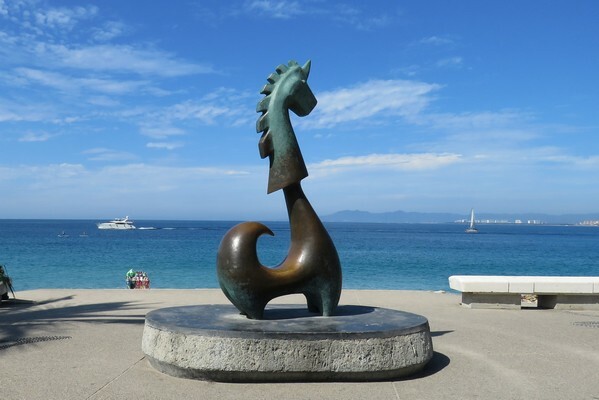 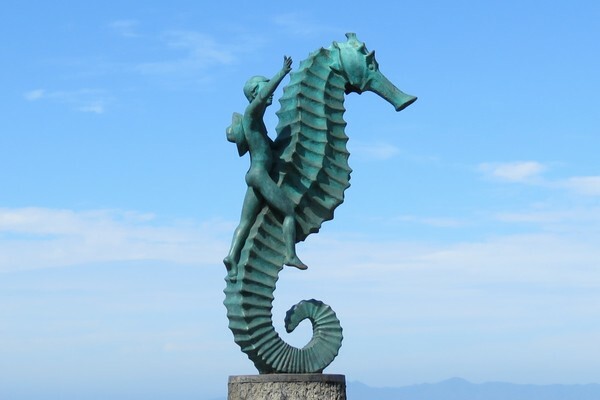 The first sculpture erected on the Malecón was “The Boy on the Little Seahorse” by Rafael Zamarripa (1976). 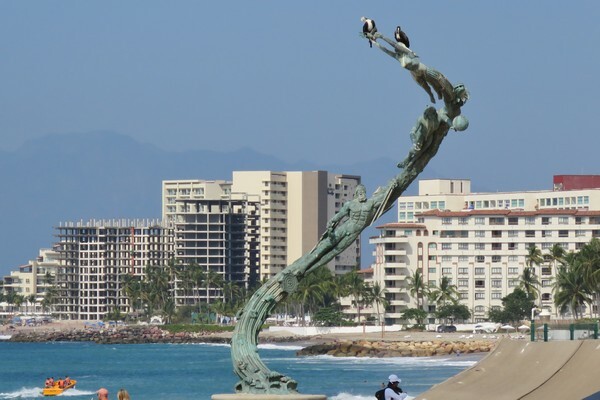 It’s one of PV’s most recognizable landmarks. 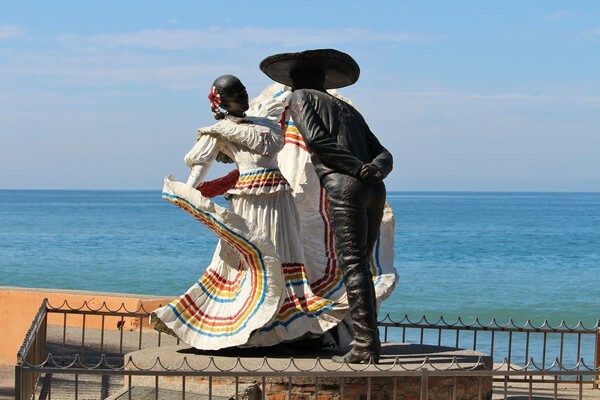 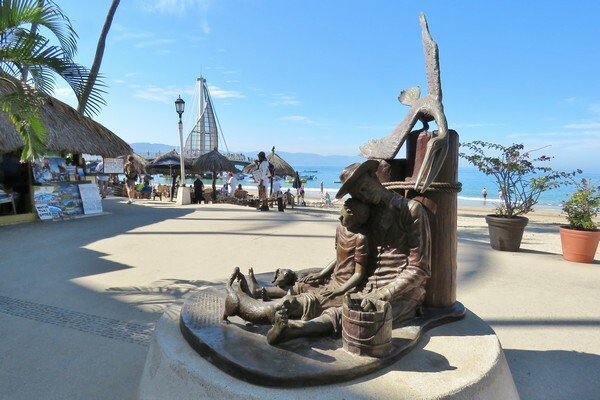 “Puerto Vallarta” has been erected beside it, making it a very busy photo spot. 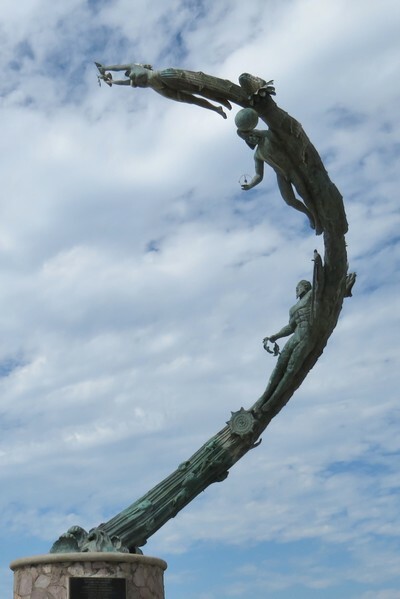 The spiraling “The Millennia” by Mathis Lídice (2001) stands at the north-end of the Malecón. 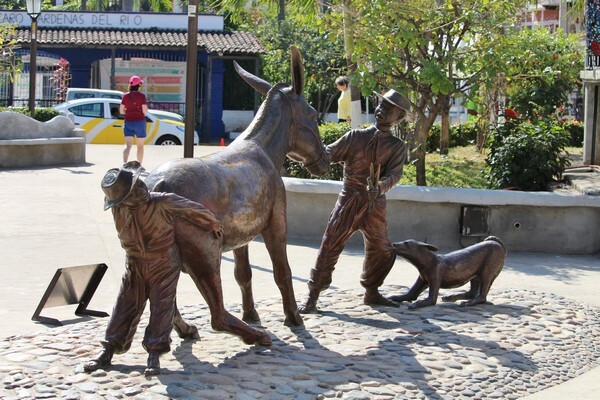 My crew, in 2008. 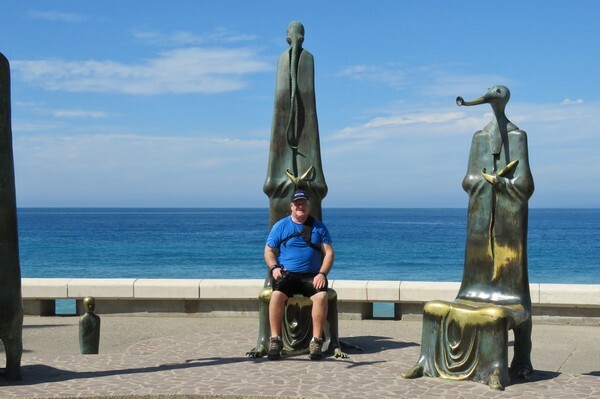 I’m on the right, with the frizzy hair. 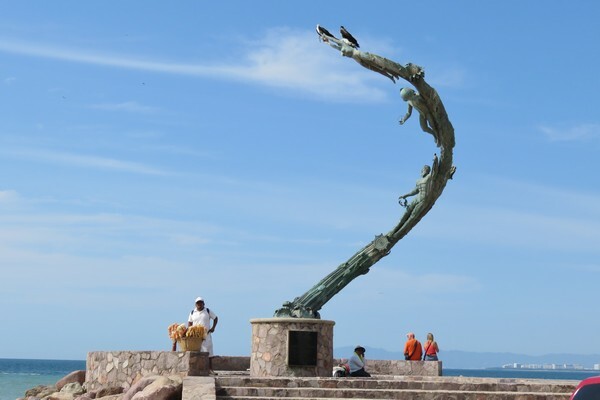 Amazingly, an albatross is perched atop the sculpture in both my 2012 and 2019 photos! 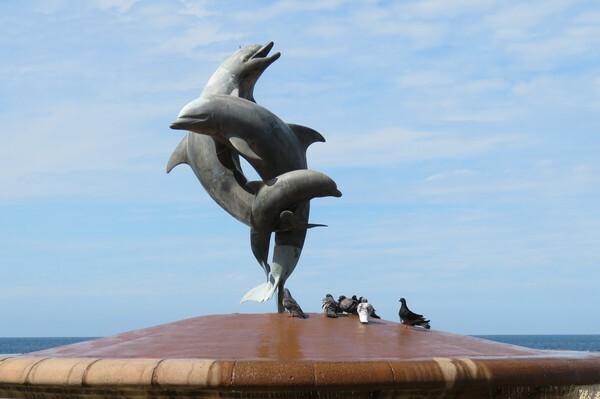 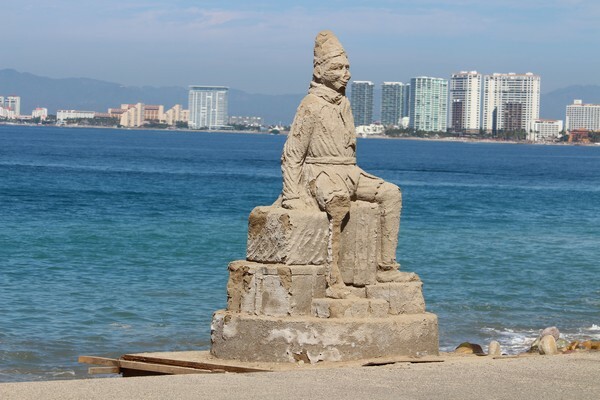 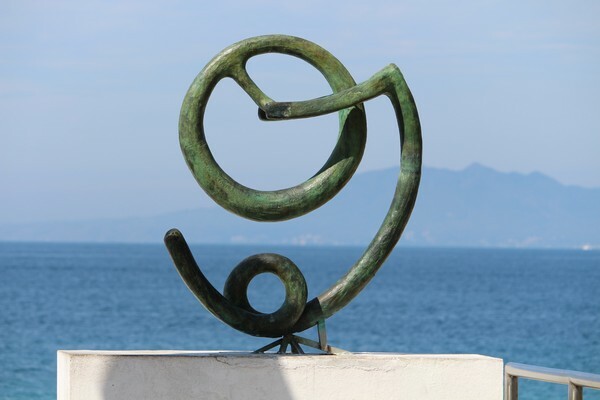 “Nostalgia” by Ramiz Barquet (1984) was one of the earliest sculptures on the Malecón. 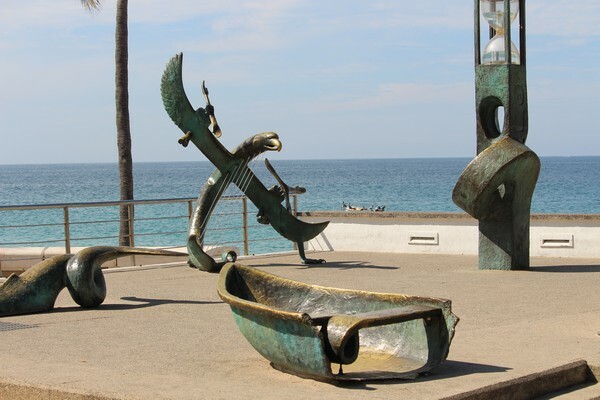 “The Roundabout of the Sea” by Alejandro Colunga (1997). 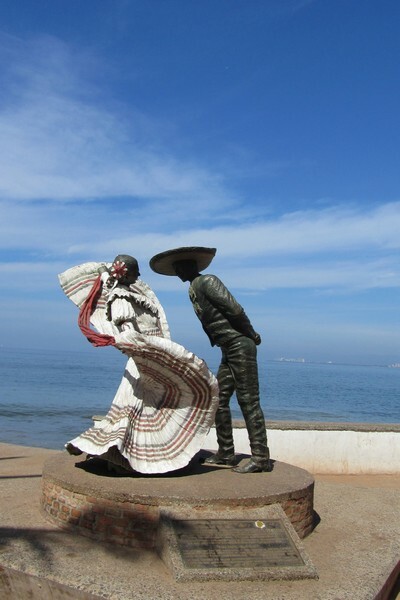 Also a popular photo op. 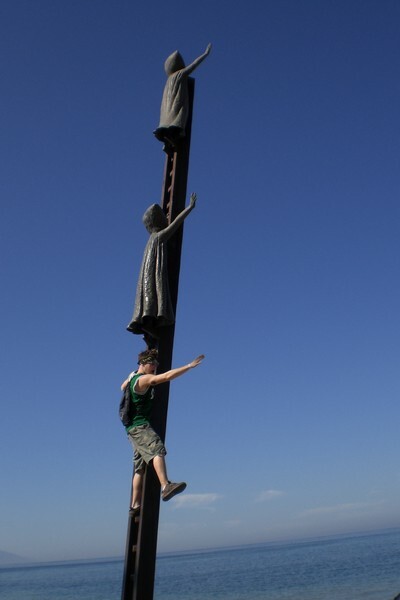 Tourists often foolishly climb the ladder, and apparently in 2008, so did my bratty kid. 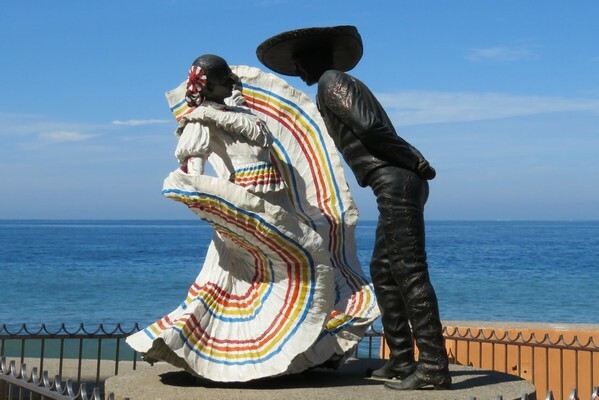 “Vallarta Dancers” by Jim Demetro (2006). 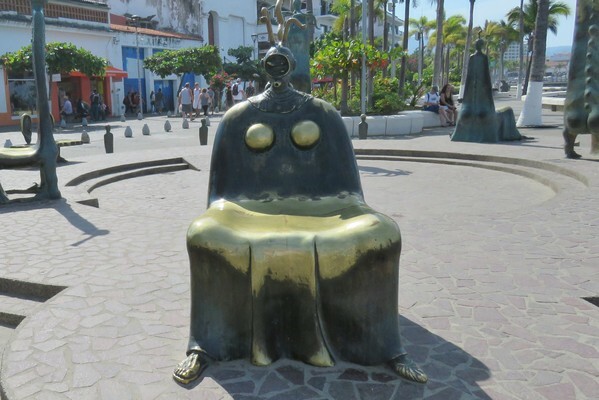 It’s had a paint job since we last saw it. 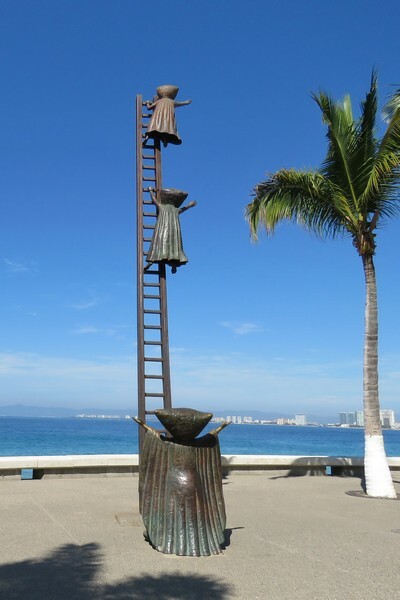 “Standing on End” by Blu Maritza Vasquez (2007). 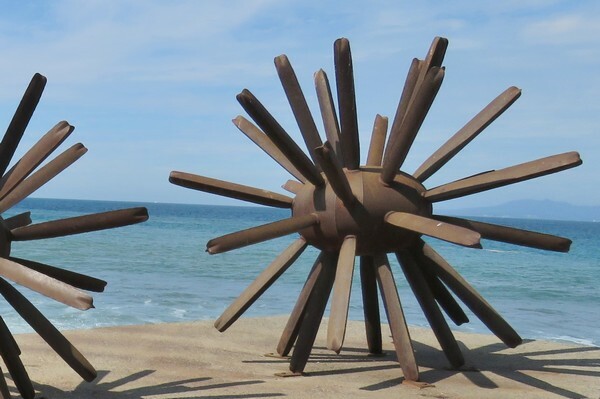 Resembles giant sea urchins. 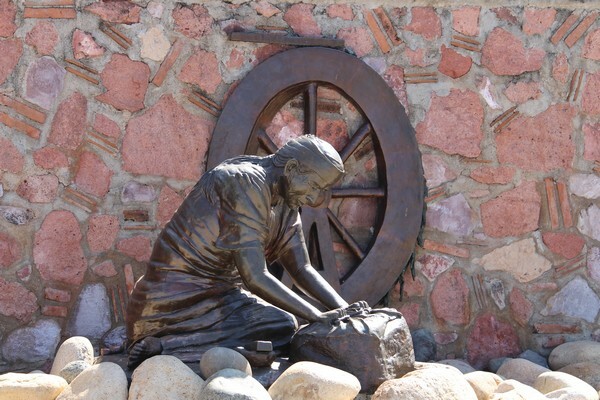 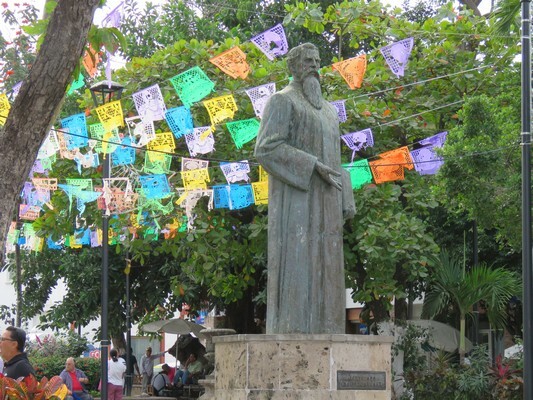 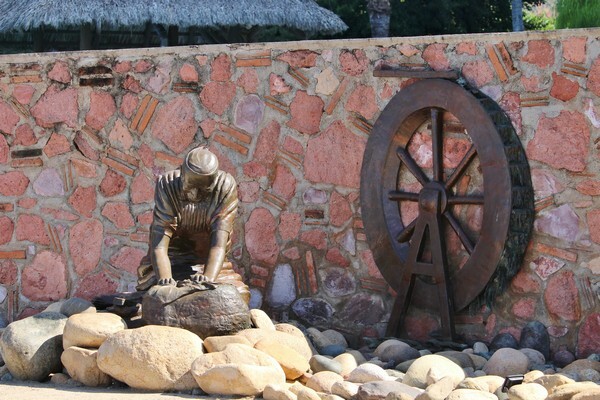 San Pascual Bailon, patron saint of cooks, by Ramiz Barquet (2008). 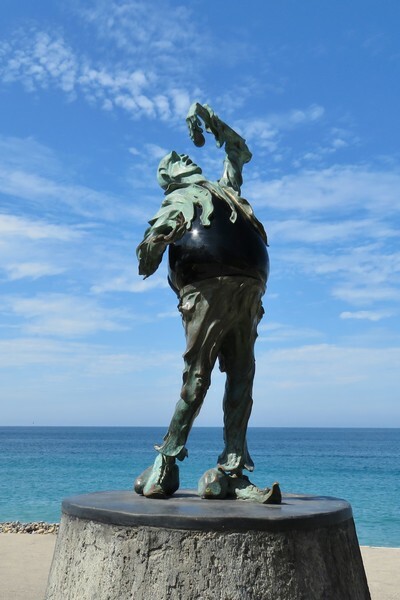 To honor chefs worldwide. 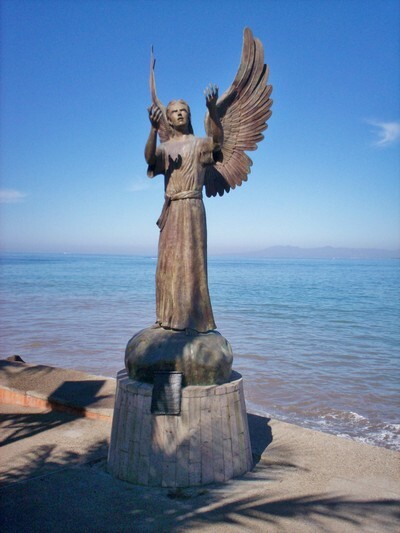 “Angel of Hope and Messenger of Peace” by Héctor Manuel Montes (2008). 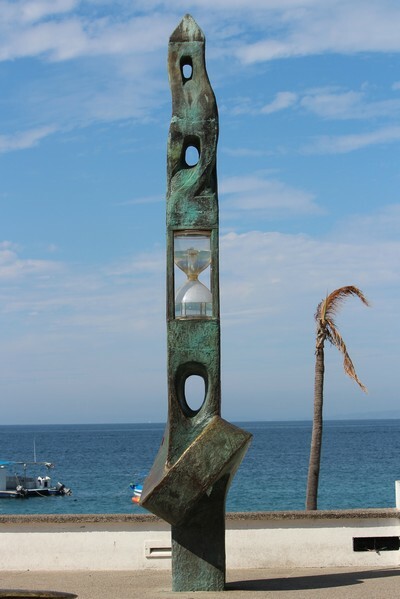 We missed the sculpture this trip, but photographed it in 2008. 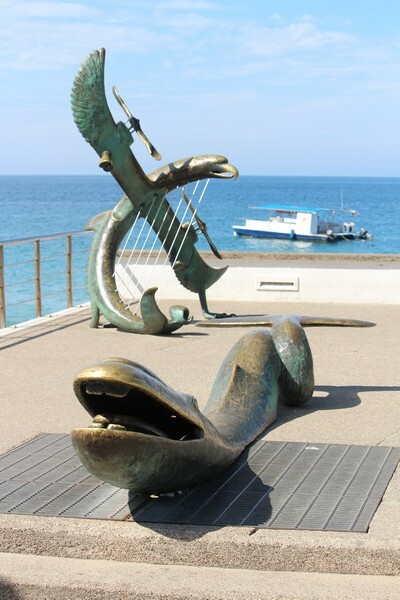 “The Fishermen” by Jim Demetro & Christina Demetro (2018). 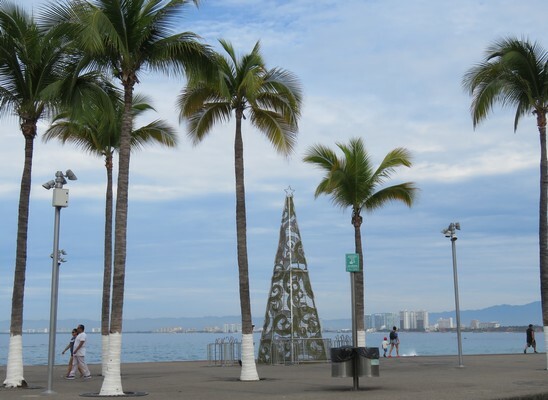 A new piece on the southern extension of the Malecon. 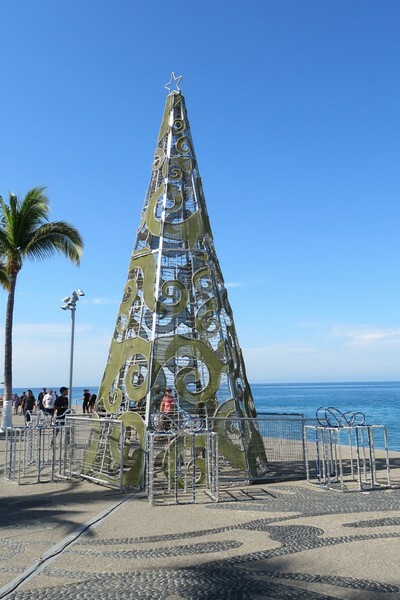 Not really a sculpture, perhaps this tree and presents are only around during the Christmas season. 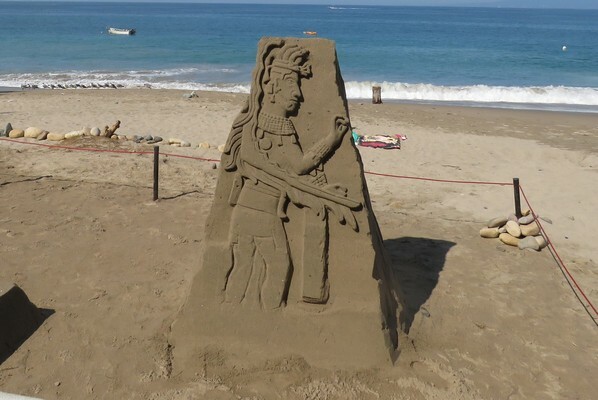 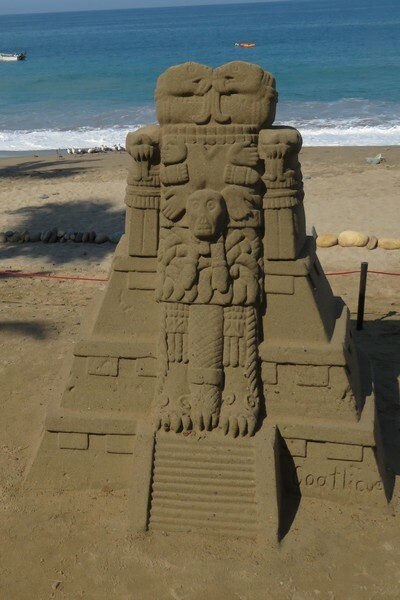 We hardly saw any sand art this trip, just these two. 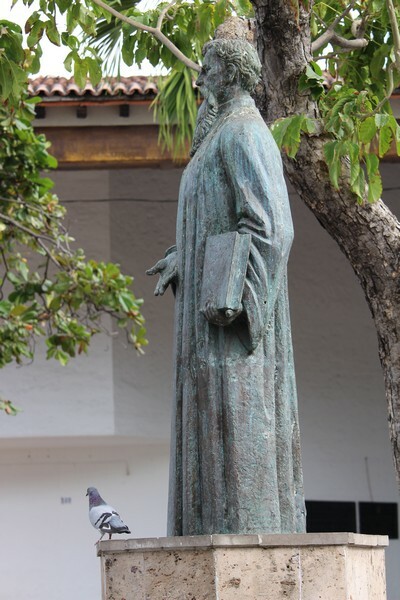 And this old guy, who was a little worse for wear. 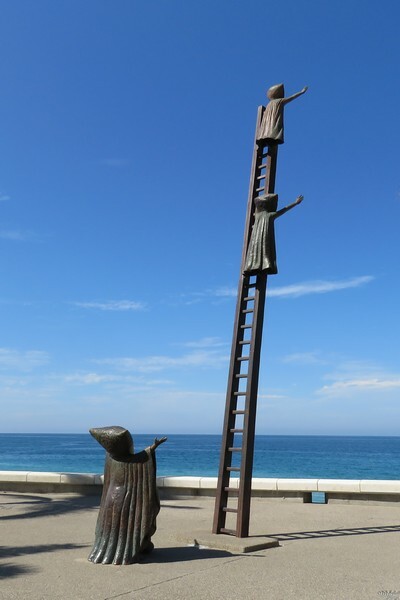 “Come on Bernardo!” by Jim Demetro (2014). 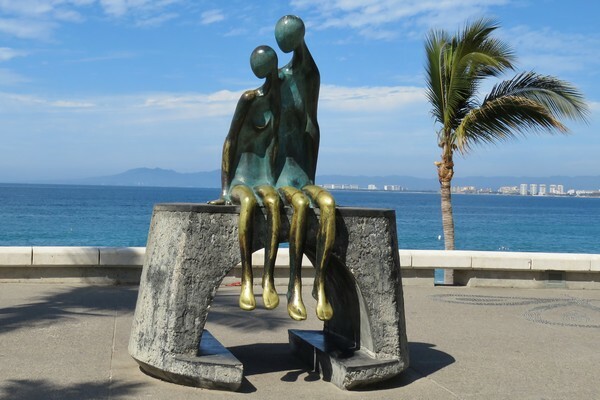 It’s a newer sculpture, at Lázaro Cárdenas Park off Los Muertos Beach. 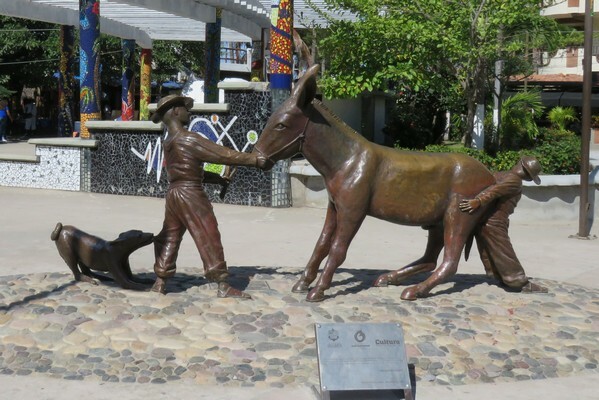 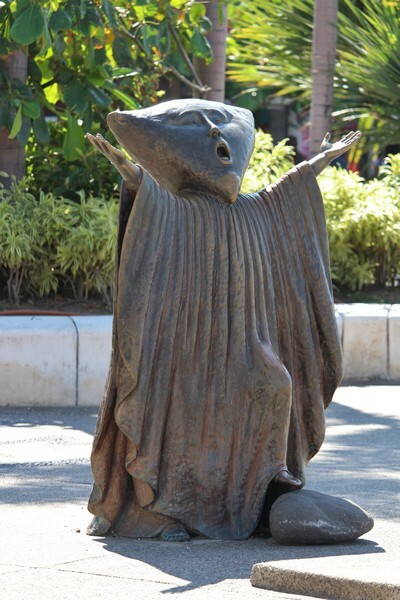 Ignacio L. Vallarta, PV’s namesake, by Miguel Miramontes Carmona (1964) in Plaza de Armas. 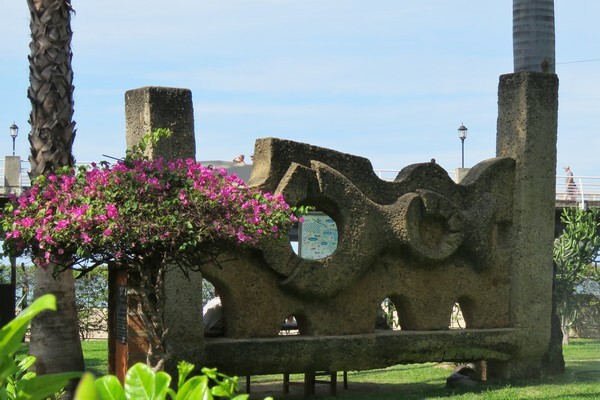 “Solar Framework” by Antonio Nava (1987) by the Cuale River bridge to the island. 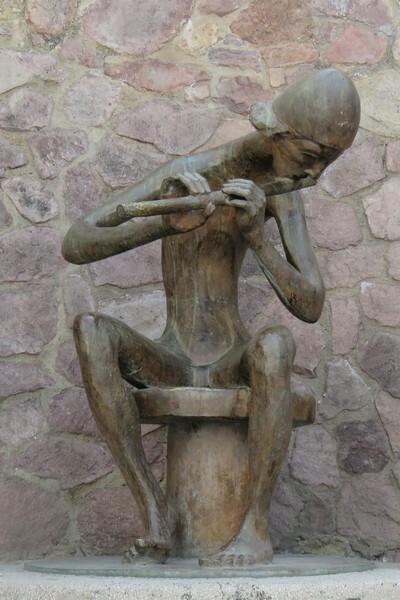 “Minstrel’s Corner” by Ramiz Barquet (1999) on Galeana Street. 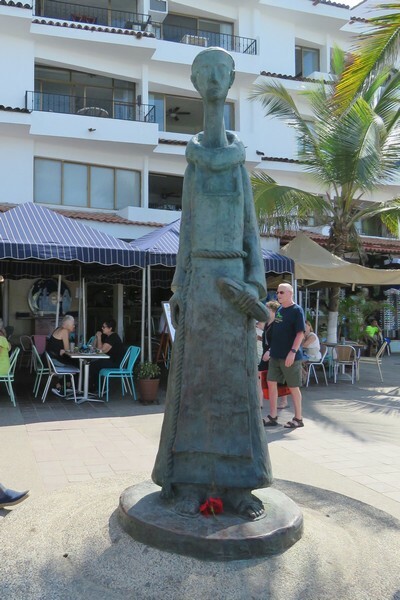 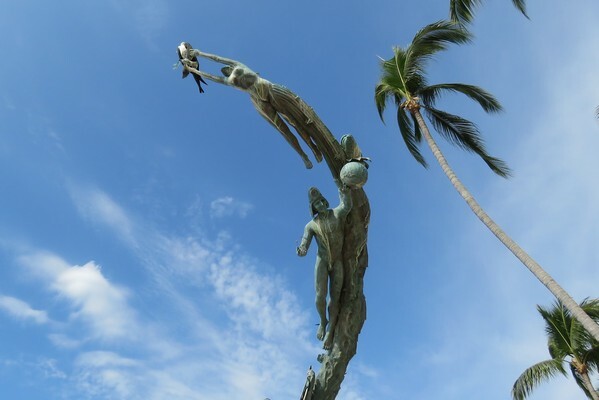 “The Fisherman” by Ramiz Barquet (1996) at the intersection of Libertad, Agustin Ramirez and Insurgentes in downtown Puerto Vallarta. 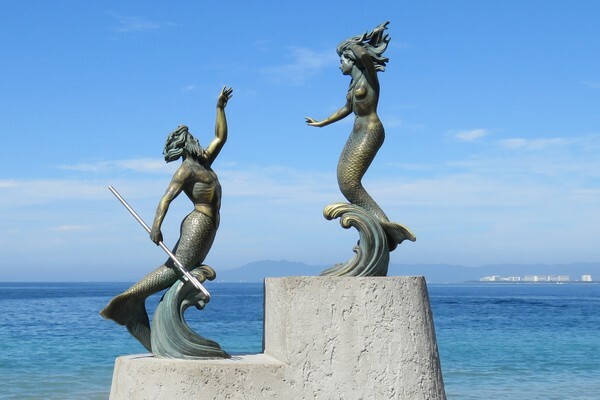 I got much of my information from these two websites, which give an interesting and detailed background on each sculpture. 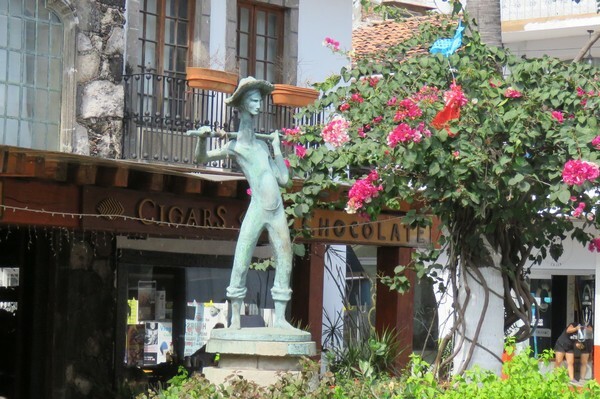 For my vacation wrap-up click here. 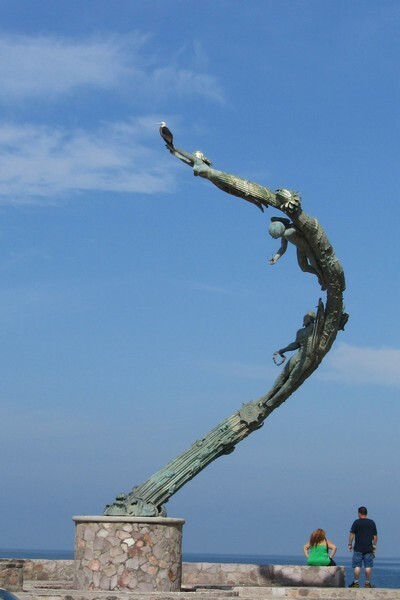 Catch up from the trip’s beginning here.